Mickey has had a miraculous recovery from the most serious of anaesthetic related complications – status epilepticus. He had suffered an occasional partial seizure over several years but never a full blown convulsion and had no need for medication. When a lump needed to be removed, sedatives appropriate to his history were used. 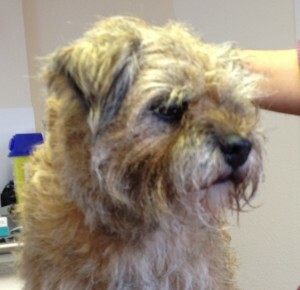 We were shocked when Mickey started to convulse every time we tried to lighten his anaesthetic, once surgery was over. We sought advice from a European Specialist in Neurology who suggested a departure from the accepted protocol for treating status that we had instituted and after approximately 18 hours of being maintained in deep sedation Mickey began to recover. He quickly regained his strength and is now back to his usual delightful self.